Winning isn’t everything, it’s the only thing. Either you’re first or you’re last. What does that mean for us? Does it matter if you build a great product? Of course it does. Does it matter if you improve the lives of your customers? Of course. So what the hell is my point? Dan Gilbert is a douchebag. More about that in a minute. You must have a winner’s mentality. Dan Gilbert Is a Douchebag\ Many of you have probably heard about Lebron James and his decision to play for the Miami Heat. 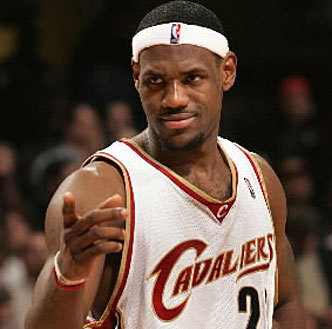 If you didn’t know, Dan Gilbert is the owner of the Cleveland Cavaliers - the team Lebron James use to play for. Dan Gilbert called Lebron a coward, selfish, callous, and heartless despite the fact that Lebron was out of contract. The point is that Lebron understands winning. He wants to win a championship badly, so he left after his contract expired. He didn’t do anything unethical. Who can blame the guy? Winner’s Mentality\ You must possess a winner’s mentality. This means that you want to tear the faces off of your competition in a Gary Vaynerchuk sort of way. This doesn’t mean that you should copy your competition. DON’T DO THIS. To quote Jason Fried: “No one will ‘out’ Apple Apple” That is to say, no one will ‘do’ Apple better than Apple. The winner’s mentality is all about believing that you are better, and then to actually be better. Profit Matters\ You have \$100 million in revenue? That’s cute. Oh, what’s that?? You’re spending \$500 million? The only thing that’s worse than no profit, is to lose money. OK, so I admit that kind of revenue is impressive, perhaps that jealousy was me really being upset over… uhhhh… nevermind. To have a real business and to win, you must be making money. Since it’s a truth that Dan Gilbert is a douchebag, part of the battle has already been won for you. Now you just have to do the hard parts. What do you think about winning?